Much is being said and written about the coming Mobilegeddon/Mopocalypse on April 21st—the day Google’s ranking algorithm will begin boosting results for mobile-friendly sites and penalizing mobile-unfriendly sites. While some agency websites are mobile-friendly, a great many are not. We will do well to pay attention—almost 25% of traffic on government websites is coming from mobile devices. And if responding to the UX needs of 25% of site visitors is not enough argument, perhaps the Google algorithm update will convince agencies that it’s time to upgrade. It’s already hard to get noticed if your content is ranking 4th or lower in search results—this change may make a site effectively disappear. So, 25% of website visitors would be helped by a mobile-friendly display. But in addition to reading information on mobile, they are also searching for that information via mobile devices. Search Engine Land posted an article recently looking at the relationship between mobile “friendliness” and mobile SEO. Here are some questions they posed, answered through the government lens. 1. Why Do We Need A Mobile-Friendly Website? The Google algorithm update coming on April 21st will penalize sites that are not mobile friendly. If developing a responsive site that would serve all users is too high a hurdle for the near future, consider standing up a parallel site for mobile users. Google has developed a Mobile-Friendly Test so you can find out what they think of your site. You can also run the W3C mobileOK Checker. Everyone will benefit from running these tests—even if your site is responsive, your font may be too small, your links too close together, etc. 2. Is It True That A Mobile-Friendly Website Is Optimized For Mobile Search And Doesn’t Need SEO? No, not true. Saying a site is mobile-friendly just refers to its display. Just like any site, it will still need to communicate its content and structure in a way that search engines will consume and rank highly. Improving your SEO will allow users to find your great content not only on Google, but on your site, Bing, DuckDuckGo, and other sites as well. 3. How Can I Tell If A Page Is Mobile-Friendly Or Not? There are a number of tools available. Run them even if you think you don’t need to—you may be unpleasantly surprised! 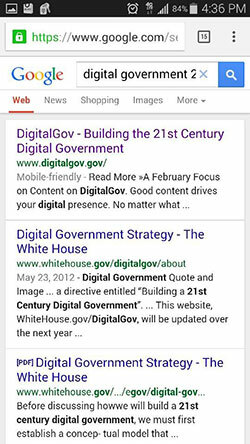 Page-specific assessment needs to be done within Google Webmaster Tools’ Mobile Usability page. Google PageSpeed Insights. For an additional perspective, while you’re at it, run YSlow. How Is Mobile SEO Different From Local SEO? Mobile SEO incorporates additional elements to focus on the person. Location services: not just city-level location, but where a person is at a particular moment. Depending on the information and services your agency provides, location services could have a significant impact on UX. While not included in online SEO analyzers, plain language will improve UX and SEO, and boost your mobile-friendliness. You can assess your readability at the page level using a number of online tools, like Readability-Score.com and The Readability Test Tool, among others. The more your site’s language matches how searchers look for your content, the better. Analytics, like those available through DigitalGov Search and the Digital Analytics Program, will tell you what words people are using to look for information and services on your site. 6. 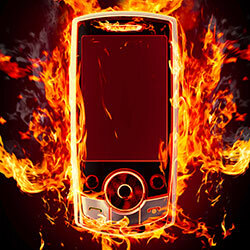 Should Content Be The Same For Mobile Units And Desktops? Not necessarily. Good old fashioned UX research will tell you whether your users would benefit from a different presentation or depth of content than what they want to interact with on your desktop site. 7. What Is The Best Mobile Configuration For Us? Whatever configuration you decide to go with, be sure to employ UX best practices! Responsive: a single site and design that changes configuration depending on the size of the screen. Adaptive, or Dynamic serving: to use the same URLs to serve different experiences to desktop and mobile users. This could be good if leaders feel passionately about the site header. Separate sites: maintain the desktop experience and serve a different experience to mobile users through a dedicated subdomain. Dawn Pointer McCleskey is a Search Analyst with DigitalGov Search at GSA. She can be found on Twitter, @dapmcc. « The API Briefing: How Essential Is Government Data to the American Economy?